Our dedicated team of AJAX developers knows when and where to use AJAX for the best competitive advantage and delivers solutions accordingly. We develop AJAX applications compatible with server-side languages including ASP, PHP, ColdFusion, Perl, etc. This makes the application more searchable. ANGLER is a AJAX integrated Web Development Outsourcing Company in India providing talented, dedicated developers for development of PHP, .NET web applications and Web 2.0 social networking websites. We have a strong team of PHP & .NET Developers with AJAX expertise. ANGLER provides timely, efficient and affordable AJAX Programming Services having gained experience through a variety of challenging AJAX Projects done for customers based in US, UK, Canada, Europe, Dubai, Singapore, and Hong Kong. ANGLER strives to focus on the customer and deliver solutions designed around their needs as we possess quality AJAX Programmers & AJAX Experts. We have dedicated PHP and .NET software development team with extensive experience in AJAX and its related techniques with full functional knowledge base to meet the customer expectations with our Offshore Development Center (ODC) Services. At ANGLER, our outstanding AJAX Development team counts on experienced AJAX Web Developers who have effectively completed a number of AJAX Integrated Web Programming projects like web portals, online shopping / e-commerce website development, eLearning applications, CMS, social networking websites, community websites, and much more. 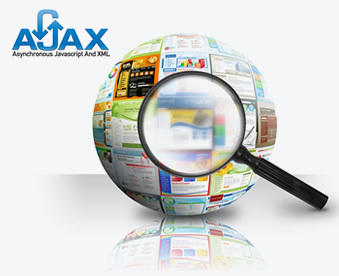 Contact us today to know more about our AJAX web development services or to hire our AJAX developers for your needs.